Welcome to the 31st Gibbet Hill 10k. Our first race was in 1987 and we have held it every year except 2000 when the foot and mouth crisis prevented us from holding this event. For on line entries: click here to go to the Run Britain website where online entry will be available soon, please note there is a £1 surcharge for administration. Cani cross runners will be accepted but for the convenience of other runners the start of this race will be 19.15. Registration and Number Collection All race numbers must be collected at Our Lady of Lourdes Church Weydown Road Haslemere Gu27 1BS where there will be toilets. You will be led to the start 50 metres away. There will be a special medal for all runners. Team prize: First four Men and three Women from a club. At the start there is a pay and display car park at the foot of Weydown Road until 18.30. There is some free on road parking in the neighbouring streets but we ask that you do not use Weydown Road as this might obstruct the race. At the Finish at Lion Green, Haslemere GU27 1LL there is on road parking from 18.00 or the car park at Tesco’s which permits 3 hours free parking. There will be a baggage car which will be supervised at all times. All kit that is left there will be transported to the finish. Water will be provided at the end for all runners and dogs at approx. 5.5k and again at the finish. 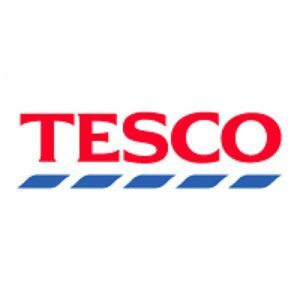 Water courtesy of Tesco will be provided at the finish and the Local Guide troop will be there to sell cakes..